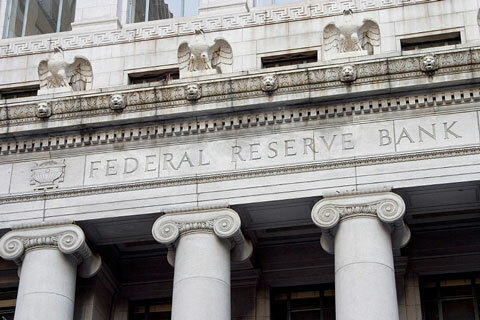 The Federal Reserve Bank — more commonly known as the Federal Reserve or simply the Fed — is the United States' central bank, charged with ensuring the stability and flexibility of the nation's monetary and financial systems. Most developed countries manage their own economic affairs, and have a national currency as well as a central bank — Sweden's is the oldest, formed in 1668. The European Central Bank, perhaps the newest, was formed in 1998 and took over many of the functions of its large member countries' central banks, including Germany's Bundesbank and the Banque de France. Reuters. Thursday, 25 Apr 2019 11:20:22 -0400. Federal Reserve Board. Thursday, 25 Apr 2019 15:00:00 GMT. 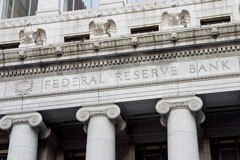 The Federal Reserve is structured to be independent within the federal government. The Federal Reserve System follows its Congressional charter; the Chairman of the Board of Governors reports to Congress; but the Fed's decisions are independent of both the Congress and the President of the United States — hence the phrase independent within the government. The Federal Reserve System is made up of the Board of Governors, the Federal Open Market Committee, and twelve regional banks. To guide monetary policy for economic stability. The economy is very complex, and though the Fed's efforts to guide monetary policy for economic stability are not perfect, the Fed has played a decisive role in the United States' relative monetary and financial stability over the last fifty years. To regulate and supervise banking institutions in the U.S. The Fed's responsibility as a regulator and supervisor for banking institutions has worked to keep our financial markets relatively stable. To provide financial services to banking institutions, the U.S. government, and foreign official institutions; as well as to play a major role in operating the nation's payment system. In the provision of financial services to banking institutions, the Fed competes with other service providers to offer service such as check processing and electronic money transfers. In addition, the regional Federal Reserve Banks collect and distribute every piece of U.S. currency.